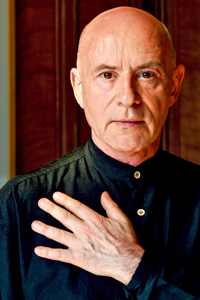 Held in high esteem by the world's foremost orchestras and opera houses for his commanding presence, versatility, and consummate musicianship, Christoph Eschenbach has also been acclaimed for his creative insight and dynamic energy, as a conductor, collaborator, and ardent champion of young musicians. In autumn 2010, he assumed the music directorship of the National Symphony Orchestra and the specially created position of music director of the John F. Kennedy Center for the Performing Arts, both in Washington, D.C.
A prolific recording artist, Mr. Eschenbach has made numerous recordings on various labels as conductor, pianist, or both. His discography includes works of Bach, Bartók, Berg, Berlioz, Brahms, Bruckner, Mahler, Mendelssohn, Messiaen, Mozart, Ravel, Schoenberg, Schumann, Shostakovich, Strauss, and Tchaikovsky. A champion of contemporary music, Mr. Eschenbach has also recorded works by such composers as Adams, Berio, Glass, Lourié, Picker, Pintscher, Rouse, Saariaho and Schnittke. Before turning to conducting, Mr. Eschenbach had earned a distinguished reputation as a concert pianist. He began winning major competitions at the age of 11, and made his United States debut in 1969 with the Cleveland Orchestra. He learned the art of conducting under, among others, George Szell, who personally took him as his protégé, and with whom he worked for over three years. In addition, Herbert von Karajan was his mentor for nearly 25 years, and he credits him as having had a tremendous influence on his development as a conductor. Mr. Eschenbach made his conducting debut in Hamburg in 1972. In 1981 he was named principal guest conductor of Zurich's Tonhalle Orchestra, and was chief conductor from 1982 to 1986. Additional posts include music director of the Houston Symphony (1988-1999); chief conductor of the Hamburg NDR Symphony (1998-2004); music director of the Schleswig-Holstein Music Festival (1999-2002); music director of the Ravinia Festival, summer home of the Chicago Symphony (1994-2003); music director of The Philadelphia Orchestra (2003-2008); and music director of the Orchestre de Paris (2000-2010). Among Mr. Eschenbach's most recent awards are the Légion d'Honneur of France and the Officer's Cross with Star and Ribbon of the German Order of Merit. In 1993 he received the Leonard Bernstein Award, presented to him by the Pacific Music Festival, where he served as co-artistic director from 1992 to 1998.